Nestled quietly among a sea of shop fronts, Indulge Café's simple façade gives little inkling as to the delights that lie within. The psychedelic painted wall in the alleyway beside it draws the eye immediately, its bright swirls of colour and pattern a stark contrast to the surrounding buildings, their features painted a mixture of muted heritage green, maroon and cream. The café front is dark and, if the sidewalk wasn't filled with bustling tables and gratified customers, you might just walk past. Push open the door and the hum of conversation hits hard, the floral wallpaper instantly transporting you to the cafes of Melbourne and Europe. Wait staff dance among tables, not batting an eye when any available walking space this narrow café holds is swallowed up by a line of table-hungry customers, but it's not for the décor or the red-lipped staff that have people lining up to dine here. If you are looking for enormous plates of award winning food that scream 'Instagram me! ', this is the place to be. Awarded Brisbane Times Good Food Guide People's Choice in 2016, Indulge turns traditional country-town dining on its head, a major player in Bundaberg North Burnett's emerging foodie culture and a leader among the local café owners and dreamers. Owner Mitchell White, who apprenticed under previous owners, and local culinary royalty, Amanda and Larry Hinds, has tirelessly advanced the café's motto 'We know where it came from and how it was made' since he bought the café in late 2016. No stranger to his customers, local Mitchell has been cooking up decadent dishes in the Bundaberg institution for nine years. 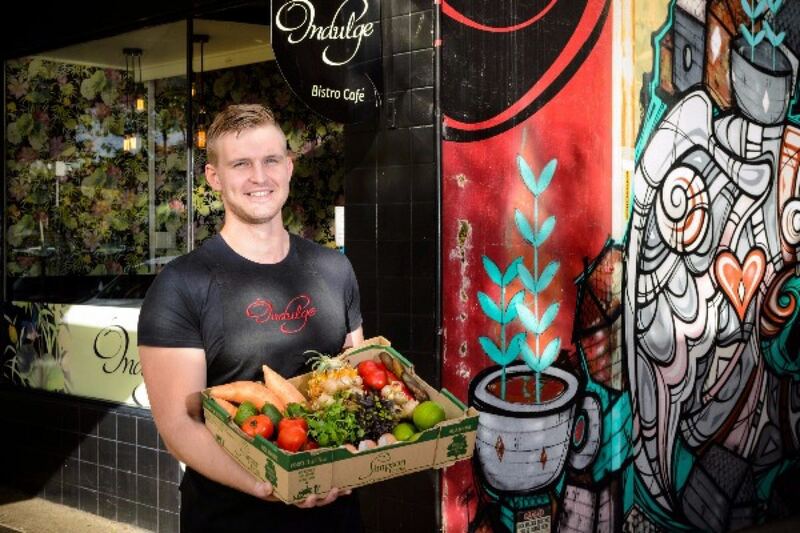 Indulge's strength lies in its strong connection to the abundant local produce industry – Mitchell's motivation comes from the local farmers who have turned up on the back-door step with fresh produce in hand every morning over the last decade. He is still astounded by the excitement and eagerness of the farmers as they show him what they have grown and what they are experimenting on, and customers in turn flock to Mitchell's gourmet breakfasts, robust lunches and decadent cakes and pastries. Menus are adorned with the names of farmers out of gratitude and love, giving you a deep sense of the authenticity of the famed 'farmgate-to-plate' experience that underpins the café. The locals who frequent the place, with an apt sense of local pride, and the visitors who drop in, intentionally or unwittingly, walk away understanding a little more of where the produce they eat, at Indulge and other kitchens across the nation, comes from.